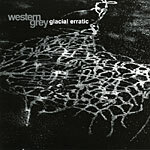 'This CD must be listened to at high volume for best results, so that the minute intensity of this sonic collision shreds your aural senses', offers percussionist Sean Baxter on the press release for Western Grey's debut album. Though initially it may seem strange that Baxter (Bucketrider/Lazy), who is operating here as a trio alongside guitarist David Brown (Candlesnuffer/Bucketrider/Lazy), and minimalist composer Philip Samartzis, would be offering the traditional rock cry of 'play it loud okay,' but there is something unmistakably jarring about Glacial Erratic at high volume. And that seems to be their primary intent. Incorporating analogue and electronic improvisations, Western Grey offer moments of extreme minimalism, Samartzis' gentle electro pitches and hums juxtaposed with a series of short improvised episodes of frenzied plucking, rubbing or scratching of guitar and fragments of found percussion. Initially the trio actually seem intent on highlighting the extreme contrasts within their palette, making little attempt to fuse together the ingredients, though as the pieces progress it does feel like there is more integration - though it's difficult to determine if that's coming from the listener's subconscious attempts to uncover some off kilter logic to the placement of sounds, or from Western Grey themselves. It's at times tense and difficult listening but it is also music to actively listen to. 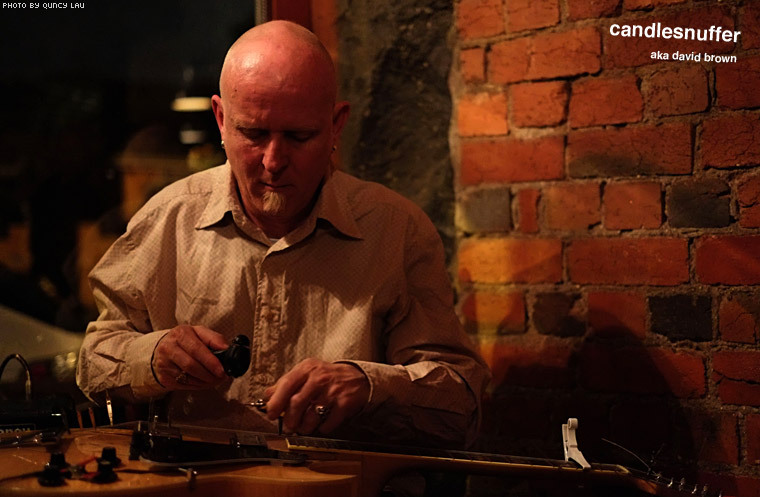 There are no grooves, melodies or vocals, no handles to grab onto, rather these are sounds operating somewhere between a sparse stripped back world of sound design or scientific improvisation. Whilst the fourth cut, the twenty four minute 'Open Space' features some "added environmental manipulation" from renowned English improviser Kaffe Mathews, for the remainder of the disc Glacial Erratic feels like the trio earnestly bunkered down clipping, clicking, spasming and exploring the size of the gulf between them. Interestingly that's not a bad thing at all.